We are Artist Managers, Promoters, Marketers and Creative Events People who appreciate the relevance of the brand in the Ibiza market place and equally across the globe. We provide a total solution for Artists in our field from label management, touring, artist marketing and music alongside creating events tailored to venue type through to supplying complete marketing service for the Music & Nightlife Industry. • We are based in ibiza ‘the hubb’ of our market place. the Industry we know how to get it right. 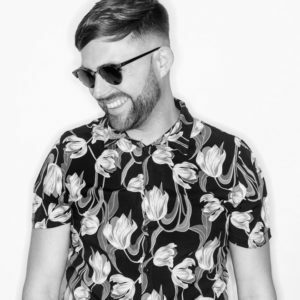 Seemingly out of nowhere, the first time Ronnie Spiteri turned heads on the global circuit was in 2016 when Jamie Jones dropped his track ‘Thin & Crispy’ during a live BBC Radio 1 Essential Mix broadcast from his Paradise party on the iconic terrace at DC10, Ibiza. For many this would be a career high – for Ronnie though, it was a benchmark of things to come. Fast forward to 2019 and Ronnie has already ticked off a coveted summer residency at Amnesia, Ibiza for Do Not Sleep, released a Beatport Top 20 debut artist album, ‘True Colours’, which was supported by Alan Fitzpatrick, Nicole Moudaber and Hot Since 82, had his Multiply EP on Knee Deep In Sound named by Pete Tong as his Essential New Tune, as well as being tipped as 2018’s ‘Future Star’ by Pete – a prediction that Ronnie has rightly earned and more importantly, lived up to. These kinds of achievements don’t happen by accident though; having spent his entire life immersed in dance music – encouraged by his father, a local promoter – Ronnie carved his niche in the industry the old-fashioned way through years of practice and several long-standing residencies in his hometown of Southampton. Armed with an intimate understanding of the workings of the dance floor, Ronnie has graced the decks at world-class venues and parties across the globe, including We Are The Brave, Elrow in the Park, Abode Festival and AIR in Amsterdam, alongside his global residency for Do Not Sleep which has seen him perform across Europe and South America. His sound is an inimitable blend of precision techno with a smattering of house, drawing on a passion for the old school warehouse parties which are a clear inspiration throughout his productions. Signed to labels like Alan Fitzpatrick’s ‘We Are The Brave’, Hot Since 82’s ‘Knee Deep In Sound’, Adam Beyer’s ‘Truesoul’, Steve Lawler’s iVAV / VIVa, and Anja Schneiders ‘Mobilee’, Ronnie’s music is being spun week in week out by the scene’s most respected tastemakers, including Adam Beyer, Joris Vorn, Anja Schnieder, Alan Fitzpatrick, Jamie Jones, Darius Syrossian, Waff, Sante, Josh Butler, Sidney Charles, Fatboy Slim and Reset Robot. Looking to the future, 2019 is going to be his busiest yet with a second bi-weekly Ibiza residency for Do Not Sleep, an EP on We Are The Brave which has already been premiered by Danny Howard on BBC Radio 1, a podcast on Pioneer DJ Radio and on board all British Airways flights worldwide, collabs with Alan Fitzpatrick, Leon and Markus Homm, and forthcoming releases on Knee Deep In Sound, Truesoul, Do Not Sleep and Kenja – his own imprint which is going from strength to strength. Achieving all this in just two years has set a standard for Ronnie moving forwards – expect 2019 to be blow all this out of the water though and be the year that cements him as one of the scene’s most exciting DJ / Producers on a global level. © Copyright 2018 ELECTRIC IBIZA.